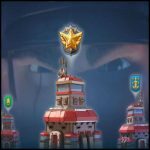 How to destroy Hammerman HQ 50 lvl base | Boom Beach. All about the Game! 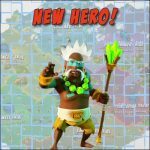 ← A new Hero, a new level of Radar and other – in the upcoming game update! 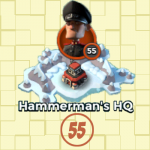 After upgrading Radar to the level 17 in Boom Beach we are able to explore zone with Lt. Hammerman Base 50 on the archipelago map. On the first sight this base looks like an impregnable fortress, the defense of which consists of a huge number of defensive buildings and mines. Moreover, two super Machine Guns MMG 9000 with a huge damage power (357 per sec) strengthens the defense of this base. In this post, I’ll share my experience how to successfully destroy this base. Let’s take one more look at the picture of Hammerman’s base. What we see? We see that base is symmetrically located in the center of the island with HQ at the end of it. Every building and the HQ are surround by dense rings of mines. Moreover, the HQ is surrounded by the Flamethrowers and two MMG 9000. 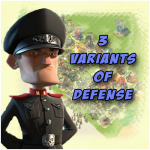 Consequently, to capture such defense with Warriors (which are the best choice for attack in mid-level gameplay) is a problematically. 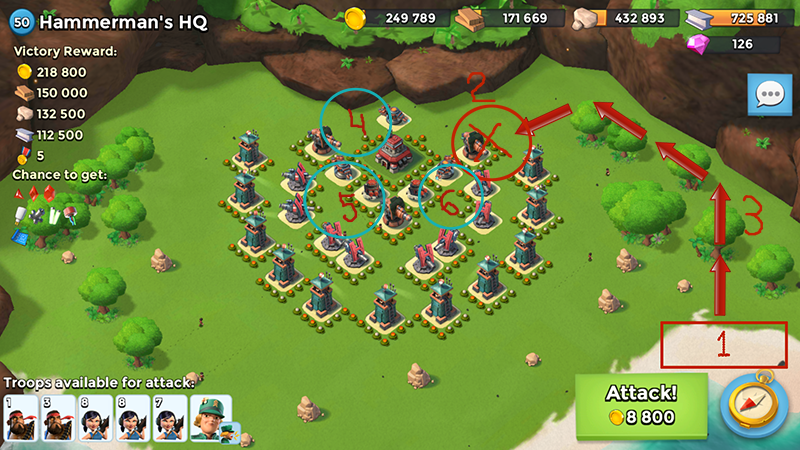 Anyway without statue boosting… For myself, I decided to attack it with “HOOKA” combo and sergeant Brick, where one Landing Craft is loaded with Heavies (15 levels) and six are with Zookas (16 levels). The role of Heavies in this combo is to divert attention of defensive weapons form Zookas and give them a few more seconds for extra volleys. Note: If you want to learn “HOOKA” tactic, I strongly recommend you to find in YouTube videos of JessieZX7! This guy is really cool in this! Here i a link to his channel. I’ve chosen the left flank for attack (you can easily to choose right flank because the base layout is symmetrical). The place from which our troops will attack the HQ must be cleared of mines first. For this purpose we will use Barrage. where, 1 is landing place, 2 – place for attack, 3 – route and 4,5,6 – places for Shock Bombs. Important! Don’t forget to clear attacking place from mines before landing. As for me, I’ve destroyed a Boom Cannon also (it took 2 Artillery shots after Barrage). And try to lead your troops as tight to the rocks as possible. In such case they will be out of range of Sniper Towers fire. The losses were: 3 Heavies of 4 and 26 Zookas of 49. That’s all! 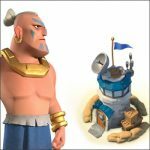 I hope this post will help you to overcome the defense of the level 50 Hammerman base! 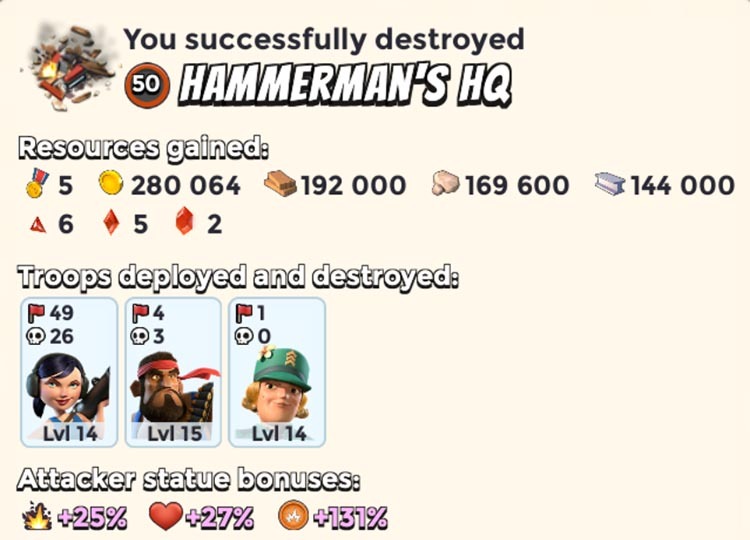 This entry was posted in ATTACK, OTHER and tagged Hammerman. Bookmark the permalink. Nice Pikerstrow, I might give that tactic a try!